Guadalupe San Miguel received his M.A. and Ph.D. from Stanford University. San Miguel is a Professor of History at the University of Houston, who specializes in Mexican American Education. He also has served on the History Department’s Executive and Graduate committees. Much of San Miguel’s research has focused on the impact of politics, culture, and language on the education of Mexican Americans. His book, Brown, Not White: School Integration and the Chicano Movement in Houston, is a foundational history of the role of race and ethnicity in the school integration movement. He teaches a variety of classes in Chicano studies. Most recently he has taught classes in The History of Tejano Music; Latinos, Politics, & Education; Chicano History Since 1910; The Chicano/a Movement; and Readings in Mexican American history. 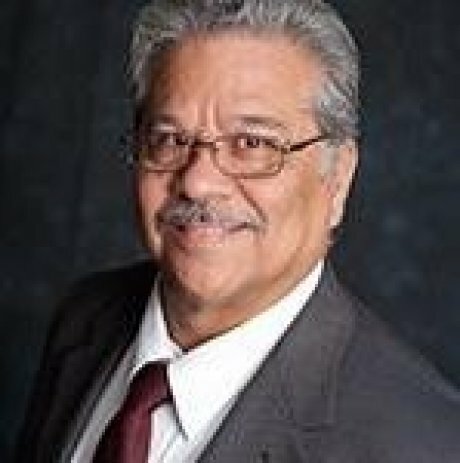 He was President of the National Association of Chicana and Chicano Studies, has served on the Board of Directors for the Institute for the History of Texas Music at Southwestern Texas State University, and is on the editorial board of the Journal of Latinos and Education. Professor San Miguel received the Public Forum Distinguished Lecture Award from North Harris College and Outstanding Book Award for the best book on the History of Education in 2001 for Brown, Not White. Chicana/o Struggles for Education: Activism in the Community. College Station: Texas A&M UP, 2013. “Latino education in twentieth century America.” With Rubén Donato. Handbook of Latinos and education: Theory, research, and practice (2010): 157-169. Brown, Not White: School Integration and the Chicano Movement in Houston. College Station: Texas A&M UP, 2005. The impact of Brown on Mexican American desegregation litigation, 1950s to 1980s.” Journal of Latinos and Education 4.4 (2005): 221-236. Contested Policy: The Rise and Fall of Federal Bilingual Education in the United States, 1960-2001. Denton: University of North Texas Press, 2004. Tejano Proud: Tex-Mex Music in the Twentieth Century. College Station: Texas A&M UP, 2002. “From the Treaty of Guadalupe Hidalgo to Hopwood: The educational plight and struggle of Mexican Americans in the Southwest.” With Richard Valencia. Harvard Educational Review 68.3 (1998): 353-413. “Roused from our slumbers.” Latinos and education: A critical reader (1997): 135-157. “Let All of Them Take Heed”: Mexican Americans and the Campaign for Educational Equality in Texas, 1910-1981. No. 11. University of Texas Press, 1987. “Status of the Historiography of Chicano education: a preliminary analysis.” History of education Quarterly 26.4 (1986): 523-536.